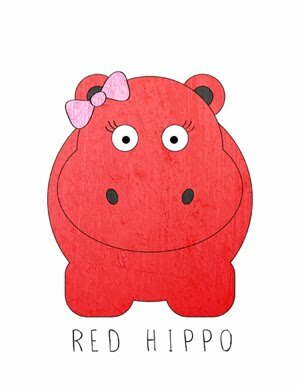 Red Hippo: mama to a five month old. admitted into the emergency room for a bad case of croup, where thy gave him a steroid to help the inflammation of his airway and a couple of breathing treatments. he is feeling much better this week (the steroid works for 8 days). as soon as his cough settled down, he started teething. oh, snap. he is in a lot of pain and sleeping terribly. he's sleeping so bad, in fact, that i have brought him into our bed the last couple of nights because he only sleeps well next to me. on top of the teething, his rolling over (which was so cool at first) is also keeping him awake. we put him to bed on his tummy (tsk tsk, said the doctor) and he rolls over on his back and won't fall asleep that way. i have started referring to him affectionately as the turtle because he looks just like a turtle turned on his back with legs and arms flailing in the air while he is squawking for his mama. he has started to laugh and giggle at just about everything. he loves watching his brother, who is such a goofball as you all know. sailor and easton get along pretty well- with just a couple of hiccups every once in a while (sailor isn't fond of easton poking him in the eye, who can blame him?). he weighs just under 13lbs, which i think is huge but according to the doctor he is in the 5%tile. why i have such tiny babies, i'll never know. sailor eats quite well after his afternoon nap, but it's almost impossible to get him to eat before noon. i think he might be one of those people who never eat breakfast when he's older. he just doesn't seem to have an appetite in the mornings. so, i pump. i miss him dearly when i send him to day care two days a week, and always feel just a little guilty. i was with easton 100% of the time until after he turned seven months. i feel like sailor is getting the short end of the stick- but he's surviving and so am i.
i love my little guy so much. is it to early to want another one?!?! i'll have to convince tony first!